As well as being a founding partner of this firm, Alan was a loved team member. We will miss his leadership, sense of humor, professionalism, and great instincts. Although the loss is great, we will work to honor Alan’s legacy through our continued commitment to clients and philanthropy! Alan was a proud graduate of Charlotte Country Day School and of Washington & Lee University in Lexington, Virginia, where he earned a B.A. in English. He continued his education at The University of North Carolina–Charlotte, where he earned an M.A.T. 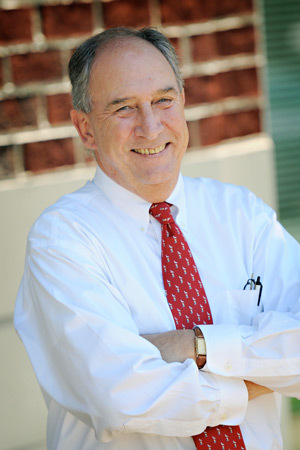 Alan taught English and coached football at both Christ School in Arden, NC and at Charlotte Country Day School, where he also served as a development officer, a career he went on to pursue at Davidson College and eventually as Vice President of Development at Queens University. Alan was most recently a founding partner of Capstone Advancement Partners. Alan touched many lives and will be greatly missed by those who knew and loved him. He had a surgical wit, a quiet charm, and a penchant for mischief. He was as astute a reader of fiction as he was a follower of sports. That he could often be an enigma, even to family and close friends was, paradoxically, one of his more endearing qualities.